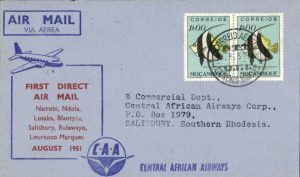 On the 10th August, 1951, the Salisbury-Bulawayo-Lourenco Marques service was inaugurated providing a new link with the coast. 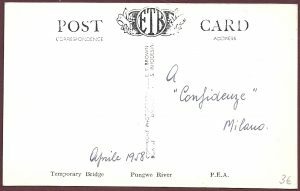 Postcards: E. T. Brown – Type IVA – Subject – Pungwe River – P.E.A. 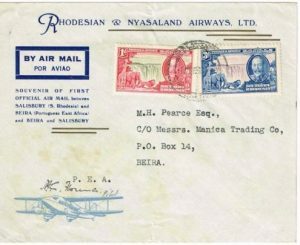 Type IVA – Subject – Pungwe River – P.E.A. 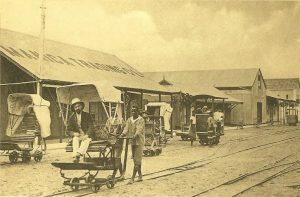 The Manica Trading Company Ltd was founded in Beira, Portuguese East Africa in 1890 by Julius Alston and Joseph Van Praagh. With its base in Beira, a branch was established at Old Umtali, Rhodeisa. In 1892, the company was floated. Operations were carried on as General Merchants, Importers and Agents and soon another branch was opened in Salisbury. 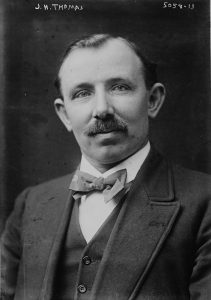 Julius Alston moved his residence to Salisbury and eventually in 1903 left Rhodesia for Melbourne, Australia and never returned. Further stores were opened in Bulawayo, Fort Victoria and Charter. The first business relied on the import of all kinds of goods and on the establishment of business relations with a large number of shipping agencies. Its business stability, however, firmed its position in the years of the two World Wars, during which the situation was completely unfavourable to business expansion. The first great moment of consolidation took place during the 1st World War, both in Beira and in Southern Africa, through the increase of exports of goods – chrome, minerals, sugar, maize, cotton and rubber – from Africa to Europe. 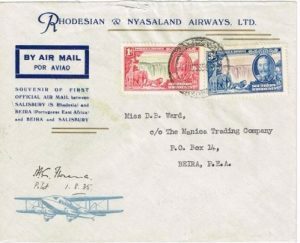 In 1927, in the verge of a new depression context that erupted in 1929 and brought down the economy, Manica managed to close a contract deal for freight services of vast quantities of tobacco. Its prominence in the transport of tobacco along with the new challenge of air services led the company to enter the business of travel services, a service requested by many of Manica’s customers. Increased activity resulted in the opening of a travel agency, a relevant element in the organization’s portfolio. 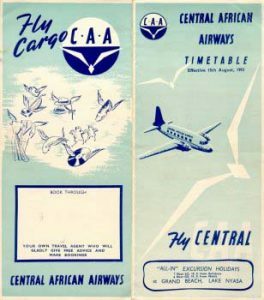 In the 1950’s, the geographic universe of the company’s operations covered the entire region of Southern Africa, and Manica was involved in exports to destinies such as Europe, Venezuela and Japan. forwarding, insurance and similar activities. 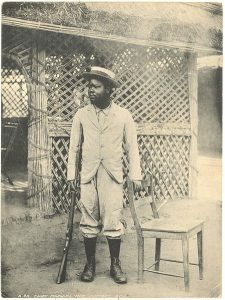 The Mozambique Company (Companhia de Moçambique) was a royal company operating in Portuguese Mozambique that had the concession of the lands in the Portuguese colony corresponding to the present provinces of Manica and Sofala in central Mozambique. 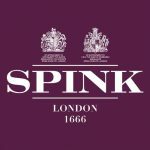 The company was established on 11th February, 1891 with acapital stock from financiers from Germany, the United Kingdom and South Africa. 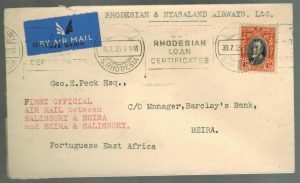 Its headquarters was located in Beira, where it controlled the public administration and the post offices. The company also founded a private bank, the Banco da Beira, which issued currency in pounds. The concession was granted for a period of 50 years, during which the company could not only exploit the resources and existing manpower but also grant sub-concessions. The company was granted the exclusive right to collect taxes, but was itself granted a 25-year tax exemption. In return the Portuguese state would receive 7.5% of the company’s profits and 10% of the sold shares. 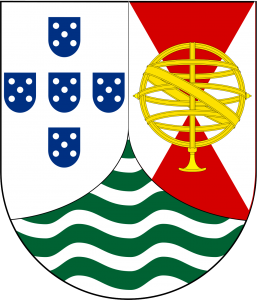 The company was also required to settle 1,000 Portuguese families and provide education and public administration in its territory. In practice, the company made only partial use of the prerogatives with which it had been bestowed; but this was balanced by the fact that it also met very few of its obligations. Having only limited capital, the company did little to develop the area, deriving most of its income from its ability to tax and its power to use conscripted labour on its plantations and for lease to adjacent estates. Resistance to the forced labour regime was a major cause of rebellions against the company which occurred in 1902 and 1917. Despite the company’s obligation under its charter to provide forces to maintain law and order, it was unable to meet these crises, and on both occasions Portugal had to mount expensive interventions. Because of its bad performance and because of the shift, under the Salazar regime, towards Portuguese control and away from international control of the economy, the company’s concession was not renewed when it ran out in 1942. On 18 July 1942, the territory of Manica and Sofala passed to the Portuguese colonial authorities and the Mozambique Company continued to operate in the agricultural and commercial sectors. On 20 October 1961, The Mozambique Company became the Grupo Entreposto Comercial de Moçambique, which transformed itself into a holding on 6 September 1972, with the participation of capital from other companies, including Entreposto-Gestão e Participações (SGPS) SA. R.S. 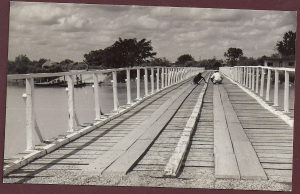 Cotton was the local representative in Bulawayo and was a major player in the building in the Limpopo Railway. 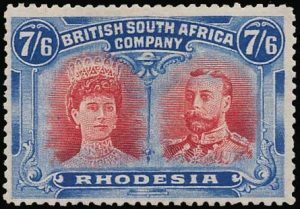 Since December, 2015, the Rhodesian Study Circle has transitioned itself from an established philatelic society to one catered for the 21st Century collector. 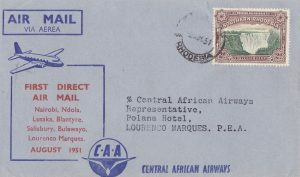 With thousands of images and over 3,600 pages of philatelic items, we are combining philately with the colourful history of Central Africa to help support you in building your collections. If you have any questions, comments, feedback or information, leave a comment below or Contact Us. David Feldman Spring Auction Series 2019 added. 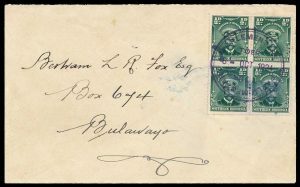 Philatelic Society for Greater Southern Africa 2019 Auction added. Bancroft, Neil & Co Ltd added. 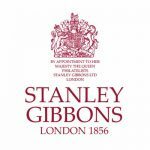 Brown & Clapperton Ltd added. Harrison & Hughson Ltd added. Impresit Kariba (Pvt) Ltd added. J Palte & Co added. J E Stone & Co Ltd added. Logan & Reg Robinson Pvt Ltd added. M H Goldschmidt (Pvt) Ltd added. Rhodesia Oxygen (Pvt) Ltd added. Silver’s Studios – new cover added. Victoria Falls Hotel – new cover added to 1964-1968. Wightman & Co – new cover added. 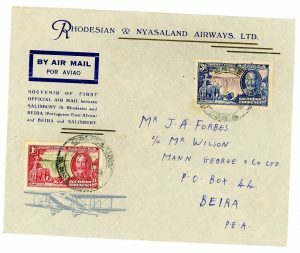 National War Fund of Southern Rhodesia added. RAPT – new cover added to 1964. Salisbury & District Publicity Association – new cover added. Salisbury Publicity Association – Sunshine City aerogramme added. Sinoia Village Management Board added. Development Bank of Zambia added. 1954.01.00 – 1597/54/S – O.H.M.S. added. Air Raid Distress Fund added. ARAF – new cover added. Rand Western Syndicate Ltd added. Form 1 Prospecting Licence – No.41994 added. Frameworthy – RSPC1 added to Type I.
Frameworthy – RSPC25 added to Type II. 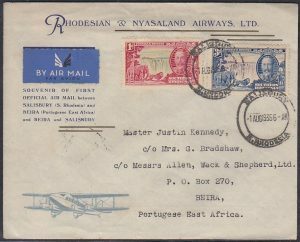 Gevaert – K.4 added to Type I Kitwe. 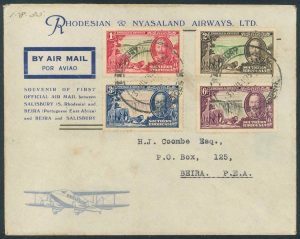 Gevaert – Ndola Type II added. 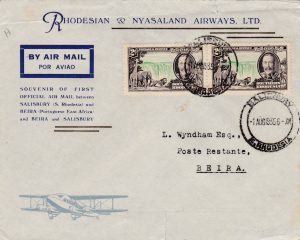 Gevaert – Nkana Type I added. 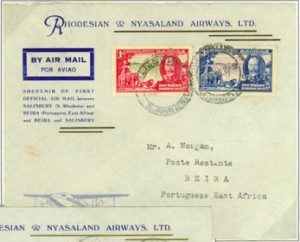 Gevaert – Kitwe Type IA added. 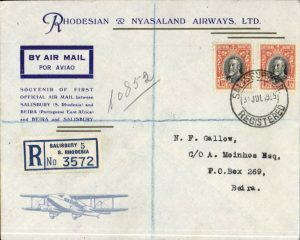 Gevaert – ND1 added to Ndola Type I.
Jack Hall & Co – No.13 added to Type II. H M Barbour – new cards added to Type II. H M Barbour – Type III added. Howard Timmins – new card added to Type I.
Howard Timmins – new card added to Type III. Mardon Printers – Victoria Falls Hotel (Black) new card added. 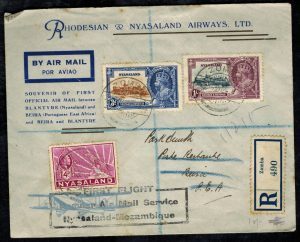 Nyasaland Pharmacies – Type I (A Series) added. 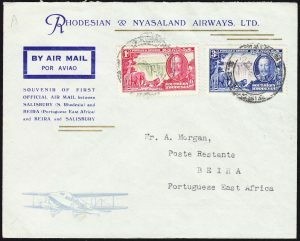 Nyasaland Pharmacies – Type I (B Series) added. 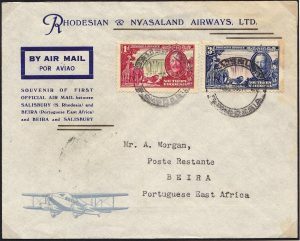 Pictorial Publishing Company – No.156 added to Type IIIBA. PPI Spicers – new card added to Type I (Grey). Smart & Copley – T26 added. Smart & Copley – A15 added. Smart & Copley – N3 added. Smart & Copley – new cards added. Tokim – new BH series added. Pre-Production – 1959 QE II Definitive Series added. 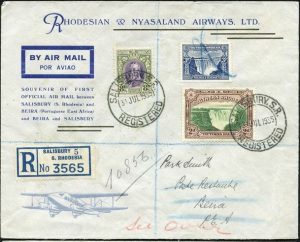 Nyasaland – new cover added to H G Fisher. 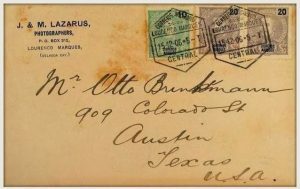 A Strickland & Co – Invoices added. C Clarkson – Invoices added. Municipality of Salisbury – Town Clerk’s Office Receipt added. 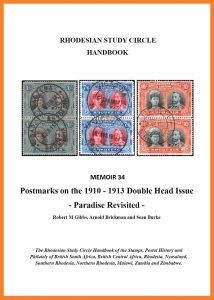 Philpott & Collins – Accounts added. Scanlen & Holderness – Receipts added. Scotch Stores – Invoices added. South Africa Timber Company – Receipts added. A special train was provided to the delegates of the 1924 South Africa Parliamentary Tour to act as their headquarters throughout the tour. 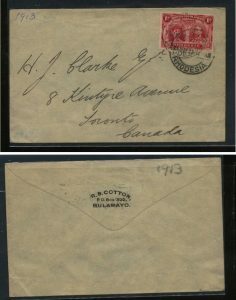 The train also had a post office on board for use by the delegates. 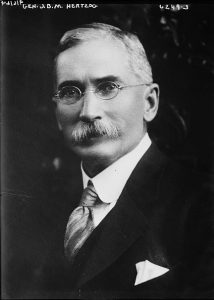 Of note, the Australian delegation included the Postmaster-General of Australia. 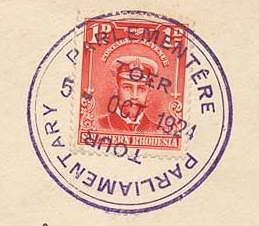 A special postmark was available for the tour. 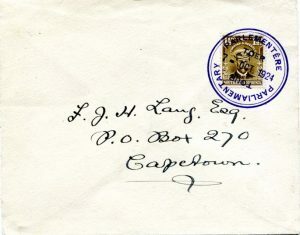 The postmark was inscribed in both English and Afrikaans and coloured purple/violet. 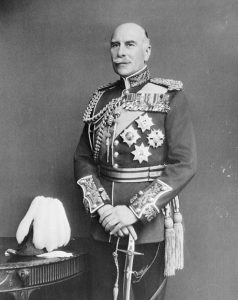 In 1924, for the first time in history, delegates from five parliaments of the British Empire met together to promote a more cordial understanding between Britain and the dominions in a country other than Britain (previous meetings were held only in London). The tour also provided an opportunity for the representatives of the Parliamentary Association to study the problems and possibilities of the host country for discussion at future Parliamentary or Inter-Empire discussions. Eight representatives sailed from Melbourne, Australia on the 29th July. New Zealand sent four delegates. Delegates from Britain and Canada arrived on the Saxonia on 8th August (Some of the British delegates had to return to Britain during the tour due to the Irish Boundary dispute). Newfoundland were unable to send a delegation. All visitors were treated as guests of the Union of South Africa with sea fares were paid by the South African Government. A special train was provided to the delegates to act as their headquarters throughout the tour. 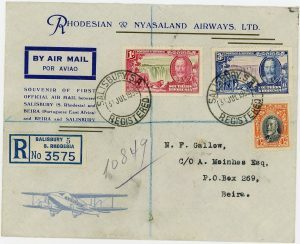 The train also had a post office on board for use by the delegates. 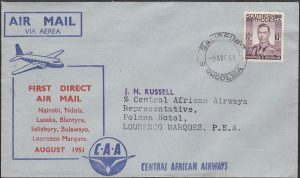 Although the tour started in Durban, South Africa, the first meeting was actually held in the afternoon of 10th September at Maseru, Basutoland. The meeting was opened by South Africa’s Governor-General, Lord Althone while the Secretary of State for the Colonies, J.H. Thomas, presided over the meeting. Delegates debated the present methods of the exchange of information (both inter-parliamentary and in relation to foreign affairs) and ways this could be improved. In the newly formed Southern Rhodesia, representatives from each delegate met the Cabinet and Leader of the Opposition to extend an invitation for Southern Rhodesia to participate in future schemes of the Empire Parliamentary Association. In South Africa at the start of the tour in Cape Town, guests were entered to a Luncheon held by Prime Minister Hertzog. At the end of the tour, the Prime Minister also held a dinner at Pretoria. Delegates praised the Prime Minister not only for the arrangements but also for the individual talks afforded to the guests. The tour was seen as highly beneficial with delegates proposing a representative of each parliament in the Empire visit each other’s country for an informal conference at least once every two years. Joseph and Maurice Lazarus were brothers of Jewish decent from the Britain. It is believed that they first arrived in Barberton, South Africa during the gold boom. They appear to have arrived in Lourenço Marques, Portuguese East Africa in 1899. Two business locations are known in the city, one at No. 39 Araujo Street and the other at Avenida Aguiar. For a while, they kept a studio in Beira. 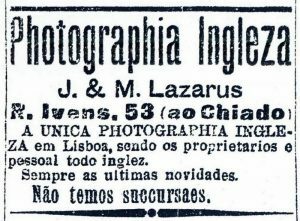 They first advertised as photographers in the 1901 directory and in the same year they published A Souvenir of Lourenço Marques: an album of views of the town. As part of their photography business, they also produced a range of postcards. 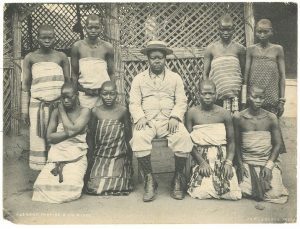 One of their photographs of Chief Makwira and his wives (Malawi) appears on a postcard published by G. Budricks & Co.
Their last advertisement appears in 1907, although their box number is still listed in the 1909 edition. They sold their studio to Sidney Hocking.